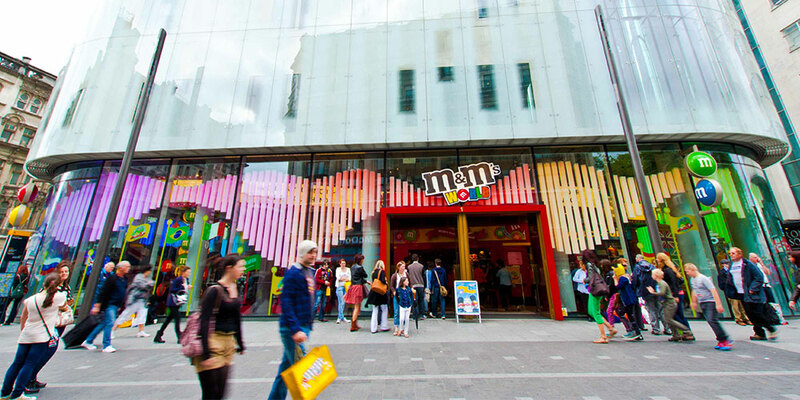 M&M’s wanted an eye-catching, colourful window display for its new store in Leicester Square – soon to become the largest sweet shop in the world. 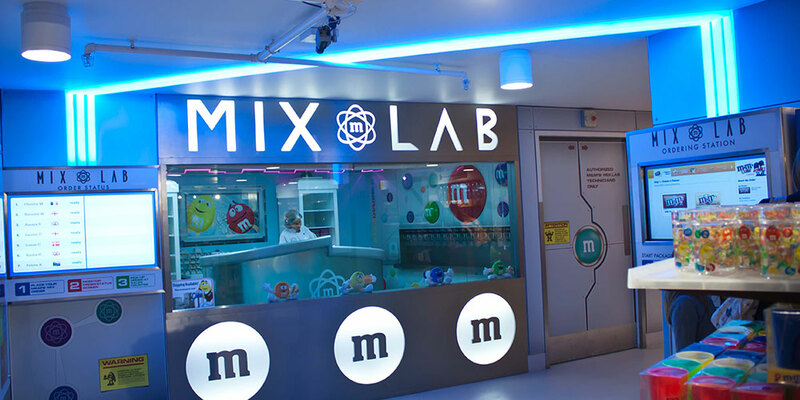 After demonstrating that a static colour lightbox display would not be dynamic enough, Optelma designed, manufactured and installed 248 polycarbonate illuminated boxes. 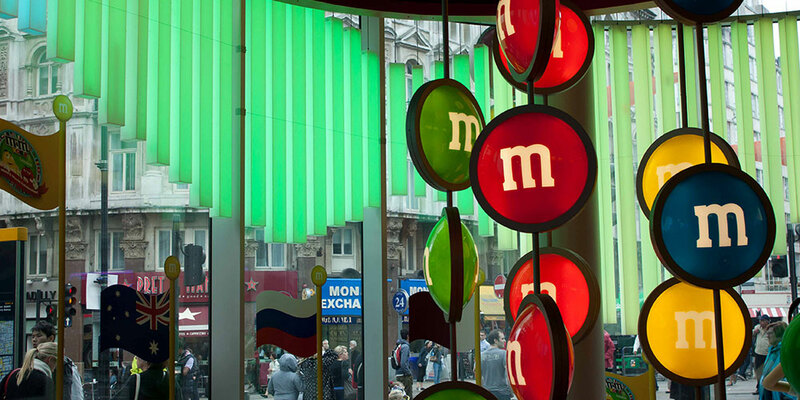 Up to 3m in length and with colour-change LED cores and DMX control, these create a dazzling attraction both from the street and from inside the store.